Michael Jung is measuring his new office for furniture after The News-Press in Fort Myers, Florida named him president and publisher, effective August 24. Jung has held the same title at the Idaho Statesman since August 2011, and has previously served as publisher of the Santa Cruz Sentinel, vice president for advertising and marketing for the Bay Area News Group and advertising director for Florida Today. 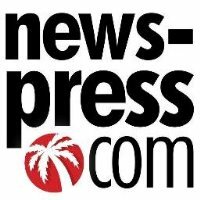 See the latest in southwest Florida’s breaking news by following News-Press on Twitter.